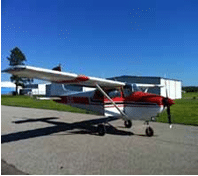 The Project Plane | Tennessee Aircraft Services, Inc. It seems so obvious; buy a tired, neglected old plane real cheap, apply some love, a little cash, and you’ll have a neat plane to fly at WAY less than if you just bought a ready-to-go machine. I hate to be a party pooper, but a reality check is in order. Maybe you’re thinking of purchasing one of those poor neglected planes tied down in the remote North Forty with weeds up to the bottom of the wings. The thought is a good annual inspection, new tires, and an oil change will get the project flying. Later you could do the engine, interior, avionics, and paint as finances allow. I call this a “flying restoration.” You get the plane airborne quickly then spend a lifetime restoring it. A couple of decades ago, I thought it might be a good business strategy to reclaim neglected planes. As it’s turn out, I never actually purchased one of these orphaned planes, but I have learned a lot about some of their owners. It seems they are all going to start their own restoration next month and have no interest in selling. There are two of these planes at my airport now. One had its last annual in 1988 which included a factory new engine. It flew once, to run in the new engine, and it has sat in the back corner of the FBO hangar since. The other quit flying in about 1984 and sits in the opposite corner of the same hangar, like a book end to the first. A biennial call to these owners reveals that their personal situation has just changed, allowing them to begin flying again. They expect a good wash job and an easy annual (after all it’s not flown in these 20+ years so what could possibly be wrong with it) will get them right back in the sky. I wonder how much we can fit in that panel? How about buying a damaged plane and repairing it? There are always some listed in the trade papers at what appear to be good buys.These won’t be flying restorations, and will require someone with significant sheet metal skills. A good sheet metal tech is hard to find, and one willing to work cheap is even more difficult. This kind of project calls for more professional help, which usually translates into more money. It’s fascinating to read through the sales ads for experimental airplane projects. Almost every one is 90% complete. Had most of these sellers actually completed a project plane and were honest about the effort, they’d likely list them more in the 65% completed range. The fuzzy math that computes 90% from an actual 65% is pretty interesting. The experimental quick build kits meet the 51% rule for starters. Then about a month of calendar time is spent opening the boxes, inventorying the parts and reading through all the plans.Surely that gets us up to 60%. Then all the easiest and biggest parts are assembled so the builder can sit in something that sort of looks like an airplane and take a few pictures. Definitely up to 70%. Fast forward 3 years, and the bare bones assembly is on wheels which gets us to at least 80%. Another 2 years, and an engine is hung on the mount to get us to 90%. Everyone is exhausted, with the effort so the plane is rolled outside for another photo op in preparation to sell the project. We now have a “complete” airplane with no controls, fuel system, electrical system, instruments, paint; 90% complete and only 90% to go. It makes perfect sense if you don’t think about it too much. It’s a similar concept in our case of reworking a certified airplane. They say that starting is half the job so just purchasing a plane gets you to 50% completion. We’ll even throw in another 20% if the plane could be flown to it’s new home under an FAA Special Flight Permit (Ferry permit). The original plan is to re-paint, re-engine, and re-upholster the ship and go fly. You price paint jobs in the $15K range but you’ll do it yourself so surely $3K will do. An exchange overhauled engine advertises for $30K but you’ll do it for $10K with the help of an A&P buddy who loves to work for free. 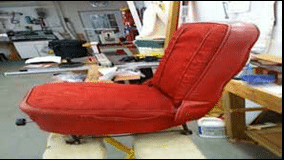 A nice upholstery job runs about $15K but you saw an add in a trade paper for a do-it-yourself kit in the $4K range. The entire project shouldn’t take more than a couple of months. What could possibly go wrong? While we’re at it some new upholstery might be a good idea. As with anything else you’ve never done, there are untold unknowns that you can’t foresee. If the plane isn’t flyable you’ll need to disassemble and truck it home. I have a truck and trailer designed specifically for this task and it takes myself and one helper one solid day to disassemble and load a Cessna 182 for a road trip. You’ll need to create this capability from scratch for a single airplane recovery. Even the cost of gasoline for the round trip in a truck pulling a trailer is a significant expense that is often overlooked. You can hire a company that specialized in aircraft recovery. They will probably do a good job but certainly won’t take the care you would. They will give you a quoted price up front so there won’t (shouldn’t) be any surprises when the plane arrives at your hangar. Depending on how long this plane has been sitting, there may be a long list of FAA airworthiness directives not complied with. Most are pretty simple and inexpensive while others may require major investment. A pre- purchase evaluation by a qualified mechanic isn’t likely part of the purchase plan, so you’ll have to do some homework. Mice really like airplanes for some unknown reason. The insulation in the side panels make great material for mouse condominiums. The byproducts of critter homes is extremely corrosive. Fortunately, corrosion damage is identifiable and repairable. The smell, however, is far more difficult to eliminate. Spray it with perfume and cover with new fabric but it will eventually find its way out. Owners of stagnate airplanes also have a tendency to lose important paperwork. From an airworthiness standpoint, this is rarely a problem. If you intend to own and fly the plane for 20 years, it will be less of a problem as well. However, few of us keep a plane for 20 years, and those missing maintenance records can become a significant marketing obstacle. An engine sitting for a prolonged time is sure to have internal rust/corrosion problems. This won’t be much of a problem if you already plan to rework the engine. Otherwise, you’ll want to do some investigation into the guts of the engine before forking over the cash. A Continental engine is a bit easier to deal with in this regard as the cam followers (lifters) can be removed for inspection and a view of the camshaft gained without splitting the engine case halves. Lycoming engine cam followers generally require the removal of a couple cylinders to get a good look. The insides of the cylinders need to be looked at as well. The exhaust valves should be checked for signs of excessive heat which usually presents itself as an asymmetrical green area on the face of the valve. If the cylinders are steel, then rust is a likely problem. Cylinders plated with nickel or chrome won’t be such a concern for rust. Any component of the airplane with “soft” parts is a point to check. By “soft” parts, I mean any rubber, nylon, or the like. Dry, rotted tires are obvious, but the insides of all those flexible hoses age just like the tires. When bits and pieces of hoses come loose, they travel downstream with whatever fluid is there into whatever system they are connected. Carburetors and fuel servos have soft parts as well. 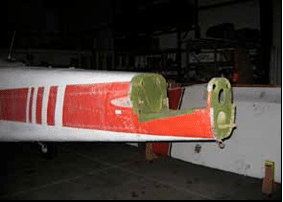 While the plane has sat for 10 years, these components either dried out or gummed up with fuel residue. Any plane that has had auto gas will have significant residue in the fuel system. I know some of you are thinking that you’ll just flush the old gas out and put new gas in. If the engine starts and runs then it must be OK to fly, so how bad could it be? This is just fine if you’re buying that old car and just want to get it home but this isn’t a car and pulling over to the side of the road in a plane involves a lot more trouble. There’s no way to list all the possible unknowns you might encounter, which is all the more reason you’ll need to be diligent in your research. I’ve done a few home projects that started out as just a simple repair or modification, expecting just a couple of trips to the Home Depot. At some point during the work, someone would suggest that “while we’re at it” we could upgrade this one thing for a small added expense. Well, six “while we’re at its” later, the simple job turns into a new garage or extra bedroom or new kitchen cabinets. Not saying these are bad things, but they were not in the original “2-trips” Home Depot plan. It’s the same with an airplane restoration. One reason you might consider a project plane is that you want a plane that is very much your plane. It should have your design signature all over it. That may mean just installing your favorite engine monitor or it could mean a nice paint job with your favorite colors. Be very careful that you don’t get sucked into a few “while your at it’s” that turn into a full glass cockpit, all new interior, and an eight-color custom paint scheme. To be fair, these extra thoughts are going to happen and you just need to be honest about it. That’s OK, but I strongly recommend you don’t allow ANY modifications or “while we’re at its” until the airplane has had a very thorough inspection for every possible airworthiness issue. It’s a real nightmare to spend a bazillian dollars on shiny new stuff only to discover a crack in the wing spar and have no funds left to fix it. I’m sure folks get tired of me saying this, but you can’t justify owning a plane. You even have a difficult time rationalizing it, so why try? You can’t justify or rationalize the nice car you drive either, because a very old “rust bucket” would still get you from A to B just fine. You determine a plane is within your budget and go buy it, just like you did that air conditioned, chromed out car with leather interior and built in GPS.